Scotland’s first footing New Year’s tradition, explained. 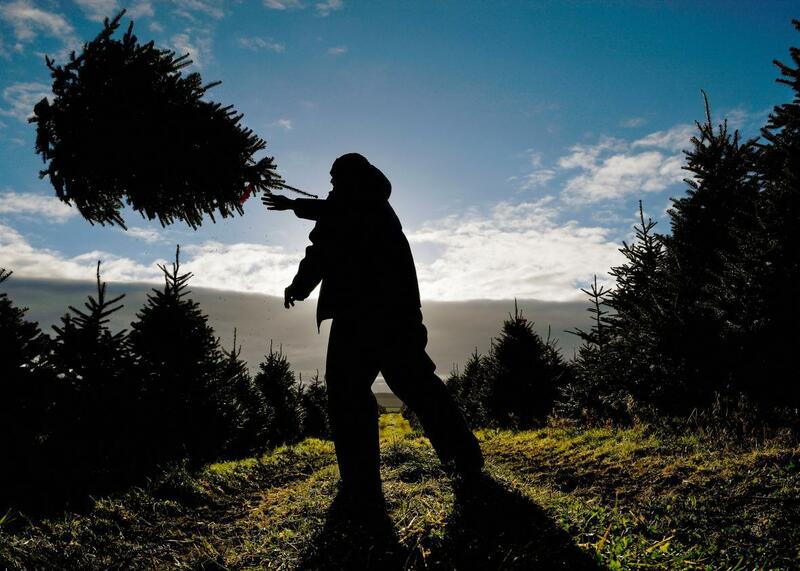 Workers at Glaisters Farm near Dumfries harvest this year’s crop of Christmas trees as they prepare for the festive season on November 29, 2016 in Dumfries, Scotland. Scots take New Year’s very, very seriously. Thanks, in part, to a particularly scourging brand of Protestantism that, starting in the 17th century, rejected Yuletide celebrations as Papist excesses, Christmas was barely observed in Scotland well into the 1950s. Dec. 25 wasn’t an official national holiday there until 1958. These days, Christmas is very much a thing, but the season’s highlight is still Hogmanay, the Scottish term for Dec. 31 and the hangover that follows. Indeed, the celebrations are so intense that most businesses remain closed until Jan. 3. Many cultures have, knowingly or not, adopted Hogmanay traditions. Scotland gave us “the bells” that chime in the New Year, the singing of national poet Robert Burns’ “Auld Lang Syne” as soon as those bells cease tolling, and the taking of a “cup o’ kindness” —or several—in the hours that follow. Other Scottish customs, such as “people dressing up in the hides of cattle and running around the village whilst being hit by sticks” have, for some reason, died out in all but the highlands and islands. One other ritual, still observed in Scotland, the Isle of Man, and, more loosely, in the part of Northern England where I grew up, deserves wider adoption: first footing. This involves selecting a tall, dark man to be the first person of the year to cross a home’s threshold. On his visit, he carries ceremonial gifts—a lump of coal, salt, a piece of shortbread and/or black bun, and a wee dram of whisky—which bring luck and prosperity for the coming year. The preference for dark coloring dates back to the days of the Viking invasion. As Historic UK explains, back then, “a big blonde stranger arriving on your door step with a big axe meant big trouble, and probably not a very happy New Year!” (The choice of a man surely has a less surprising explanation: misogyny.) Even on the Isle of Man, “a light-haired male or female is deemed unlucky to be a first-foot or qualtaagh.” If first footing ever takes root on this side of the Atlantic, where Viking invasion has never been a real and present danger, let’s dispense with this part of the tradition and fight racism and sexism by designating dark-haired women as America’s official New Year’s threshold crossers. When I was growing up, my father, who was tall and dark, was often called upon to serve as our block’s first footer. His gifts were simpler than the full Scottish spread—a lump of coal, a slice of bread, and whatever booze was on hand—but they were offered with sincerity. It was a role he enjoyed—what better way to start the year than by performing an act of community service that comes with a shot of liquor in every home—and the ritual started the year off well for everyone. Most of the people whose threshold he crossed treated it as little more than an amusing superstition, but it was a harmless and uplifting one. There’s something very ancient and Game of Thrones-y about first footing. For those of us who celebrate Christmas, often by overindulging or spending too much on gifts and luxuries, it’s a reminder of our fundamental needs for warmth, sustenance, and a supportive local community. America has already embraced the singing, dancing, and boozing aspects of Hogmanay—now it’s time to import a more meaningful part of Scotland’s New Year’s celebrations. Read more of Slate’s Open Source Holiday recommendations.